Opening Reception: Friday, July 1st from 7:00 – 10:00p.m. 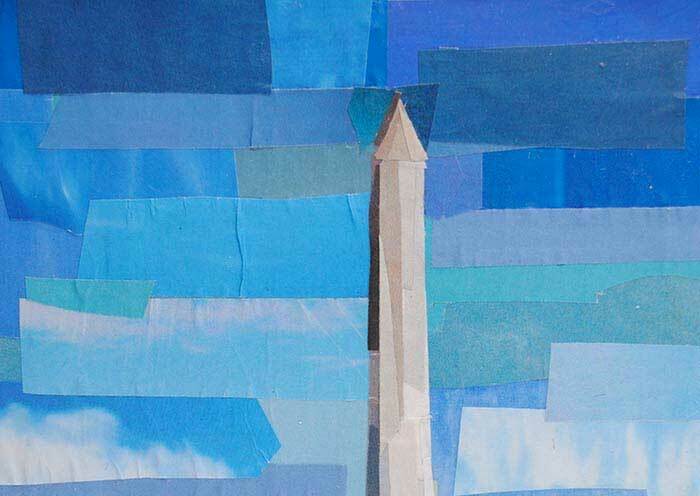 Megan Coyle’s “Washington Monument” and “Lincoln Memorial” collages were on display at the Del Ray Artisans’ “Made in the U.S.A.” group exhibition. 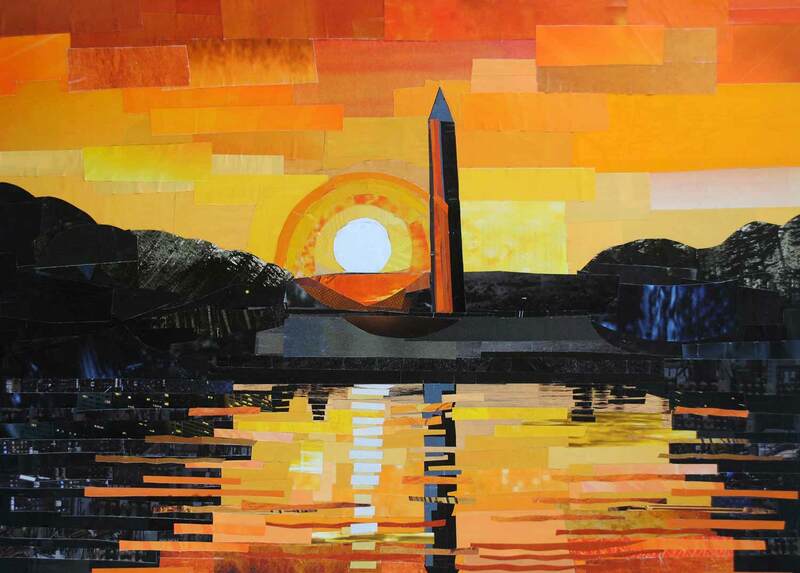 Both collages were previously on display in the “Local Scene” group exhibition at National Harbor. “Made in the U.S.A.” featured artwork inspired by U.S. people, places, and things. The show included the work of several local artists working in a variety of media. Aside from the artwork being inspired by different U.S. subjects, several of the works of art were also made from U.S.-made materials. Next PostNext Made in the U.S.A.